Fat Quarter Shop's Jolly Jabber: Quiltmaker's 100 Blocks Sampler Sew Along - Kimberly's Block & a GIVEAWAY! 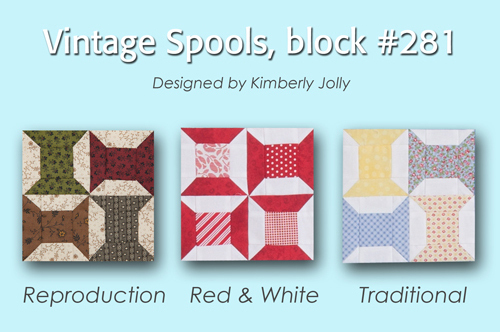 Quiltmaker's 100 Blocks Sampler Sew Along - Kimberly's Block & a GIVEAWAY! Hello, Quilting Friends! Today we're giving you an up close and personal look at an old quilt block that Kimberly designed for a previous issue of Quiltmaker's 100 Blocks publication that is now included in their 100 Blocks Sampler Quilt! The editors had a wonderful idea to shrink their favorite blocks from all different 100 Blocks issues down to 6" from the usual 12" and combine them into a fantastic sampler quilt for the 100 Blocks blog tour! We love each of the three color ways that their quilters created for this event: Reproduction, Red & White, and Traditional! It's always so fun to see how different a block can look depending on fabric choices and placement, don't you think? These are the completed quilts in the three different color ways. Gorgeous! If you'd like to read more about the blocks, the quilts, the publication and the blog hop, you can link over to Quiltmaker's blog Quilt Pleasures HERE! 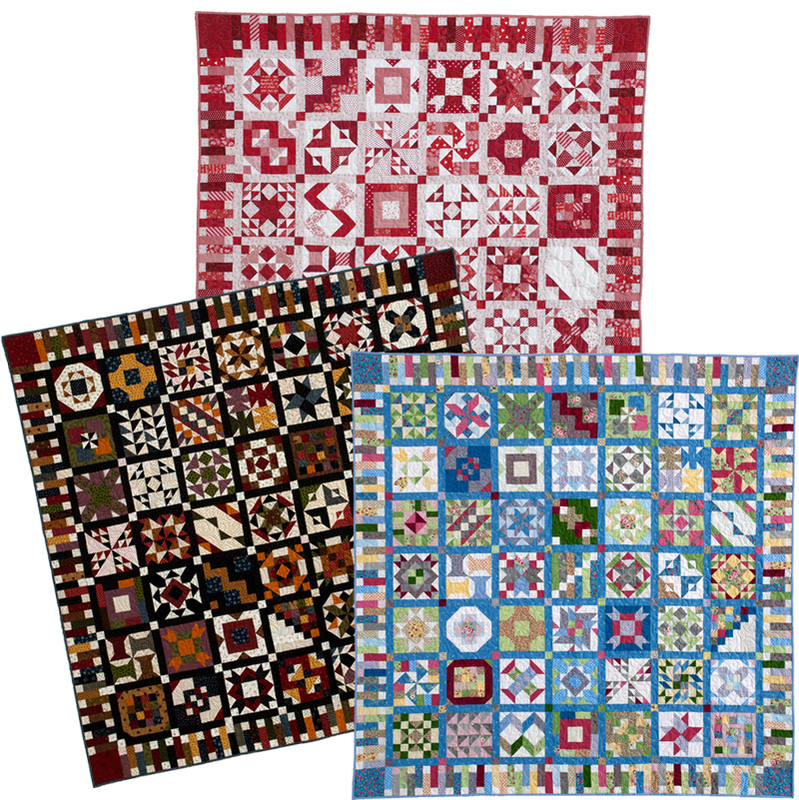 We're happy to celebrate these beautiful 100 Blocks Sampler Quilts with our own sweet giveaway, three Jolly Bars to three lucky winners! In case you aren't familiar with Jolly Bars, they are precuts exclusive to Fat Quarter Shop. Here's a quick video with more information! As Kimberly shares in the video, each Jolly Bar contains 42 - 5"x 10" cuts of beautiful Moda fabric. Even better? Each Jolly Bar contains a free pattern specific to that collection - sew fun! 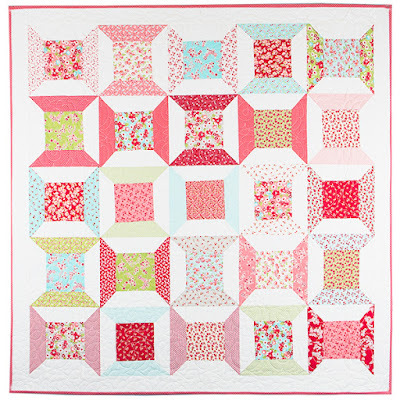 For example, here's the quilt made from the pattern that comes with the Little Ruby Jolly Bar - it's called Spinning Spools! We also have Jolly Bar Quilt Kits, which are super fun and sew easy to stitch up, so take a peek! Leave a comment on this post sharing which Jolly Bar you'd like to win if you're selected as one of the lucky winners. You can peruse our selection of Jolly Bars HERE in order to pick a favorite. The giveaway ends on Monday, July 4th, at 11:59 p.m. CST. Three winners will be selected at random and will win the Jolly Bar they pick and share in their comment. The winners will be announced here in this post by 7/6/16. Good luck, and Happy Quilting!